Your Kingsport Chamber’s Board of Directors held its monthly meeting yesterday. 2019 Eastman Oratorical Contest Winner, Christine Liang of Science Hill, presented her winning speech. Your Kingsport Chamber presented past board chair, Bob Feathers, and current board chair, Lori Payne, with framed photos from Your Kingsport Chamber 72nd Annual Dinner. 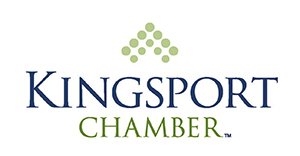 Your Kingsport Chamber preparing to launch new member campaign in March. Visit Kingsport preparing for AAU Volleyball Tournament. STREAMWORKS opening new location at 200 Lynn Garden Drive in Kingsport. STREAMWORKS is accepting nominations for Twenty Under 20. Keep Kingsport Beautiful preparing to host Green & Growing Gardening Seminars every Saturday in March. Healthy Kingsport accepting Healthier Tennessee Gold Award next week. Government Relations preparing to host Legislative Dinner in Nashville. Leadership Kingsport alumni drive is underway. For more information and to see all news and events with your Kingsport Chamber, go to KingsportChamber.org or call (423) 392-8800. We’re social too; follow us on our Facebook page, Your Kingsport Chamber, and on our Twitter account, @kptchamber.